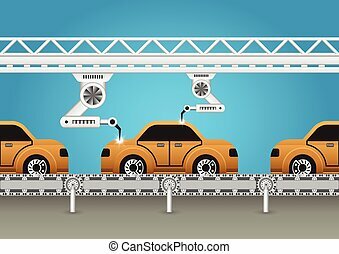 Robots working with auto parts in factory. 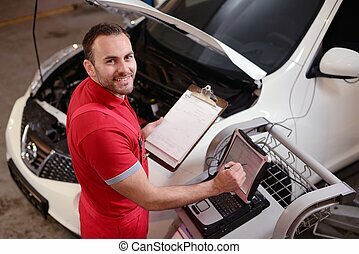 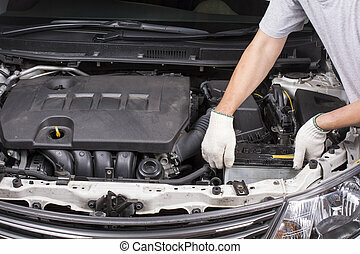 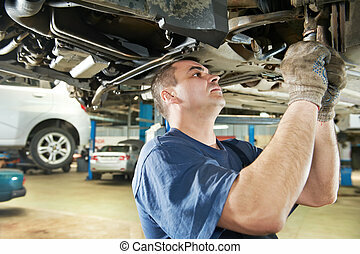 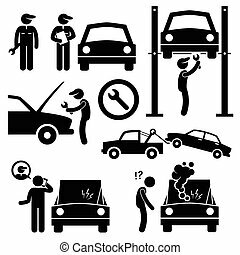 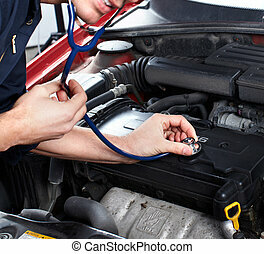 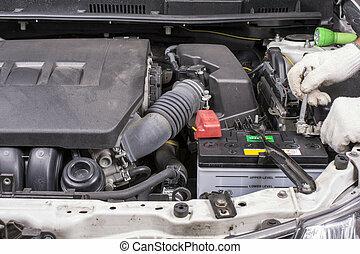 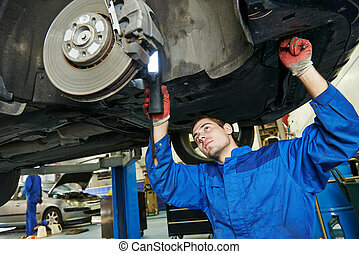 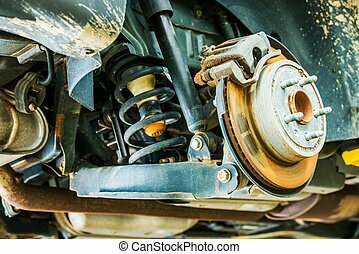 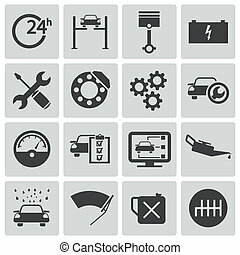 Car Suspension and Brakes Maintenance in Auto Service. 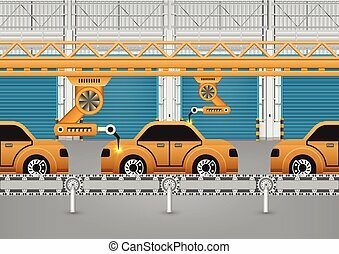 Robots are working with auto part with blue background.